As a widely renowned and acclaimed Duplex Steel Fastener supplier and exporter, Jaydeep Steels p manufactures a wide array of excellent quality Duplex Steel Fasteners, which are exported to both national and international customers. Over the years, we have been successful in building a reputation of our own because of the exceptional quality and longevity of our products. We offer our customers a vast number of varied Duplex Steel Fastener that is extensively used in mostly all fields of industries. We make use of the most exquisite grades of duplex steel, like UNS S32250 / 2205, for the making of the Duplex Steel Fasteners. These grades offer a number of excellent attributes like durability, dimensional accuracy, precise engineering, better strength, light-weight, corrosion resistant, robustness, and much more; thus making it one of the most demanded grade. Keeping in mind the varying client requirement, we manufacture the Duplex Steel Fastener in various kinds of size, shapes, specifications, and thickness. 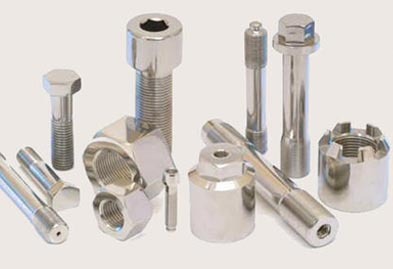 Different varieties of fasteners are being manufactured at Jaydeep Steel. Some of the available varieties are Duplex Steel Nuts, Duplex Steel Bolts, Duplex Steel Screw, Duplex Steel Washers, Duplex Steel Anchor Fasteners, Duplex Steel Stud Bolts, and many more. We follow proper standardized international and national rules and regulations for manufacturing these products. They are used in numerous industries like aerospace, defense, automotive, petrochemical, and waste processing, marine, pharmaceutical, etc., for all their remarkable and distinguished features. Call us now to request a free quote! 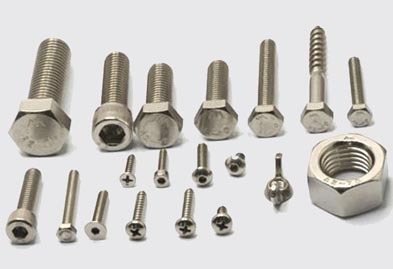 Types Bolts, nuts, Washers, Anchor Fasteners, Stud Bolts, Eye Bolt, Stud, Threaded Rod, Cotter Pin, Socket Screw, Fine Fasteners & Spares, Foundation Fasteners, etc. Jaydeep Steels stocks a wide range of materials and grades. Below is a list of all standard duplex steel fasteners materials and grades we stock. Our experienced team of metal experts will get you the metal you need when you need it. Call us today for your Duplex Steel Fasteners Needs!